Canmake is a Japanese cosmetic brand founded in 1986. The brand expanded across Asian countries and was endorsed across demographics due to their cute packaging, diverse colour schemes and natural ingredients to suit sensitive skin. This palette contains squalane - a moisturising agent allowing smooth applications and minimising eyeshadow fall outs. There are 6 different palettes (colour variations) in the Perfect Stylist range. I followed the combinations from the back of the palette to create the following two looks. I think we can all agree that there is really not that much of a difference..
As mentioned in product information, there were no fall outs! I'm amazed! The pigmentation could be improved, I had to double swatch everything to ensure the product's visibility on camera.. probably not the best palette to use if you want a picture perfect look. Difficult to find in Australia! I've never seen this around Sydney. Maybe, I did get turned off by it's lack of pigmentation. However, it's a great travel palette, I like to wear minimal makeup when I'm on holidays, so this is perfect. Have you tried Canmake products? What are your thoughts on Japanese cosmetics? Your eyelashes are amazingly long! My top lashes are shorter than your bottom ones! Ahah what mascara are you using? I haven't seen Canmake around Sydney either! I swatched some of their eyeshadows in HK and, you're right, they're not very pigmented. That's why I didn't pick one up because I think the colour combos are pretty spot on. your lashes look so good! im sure you've stated what mascara you've used, but seriously what mascara is it? I'm using Benefit's they're real mascara. It's not too bad... but the dollywink mascara will do amazing things to your lashes!!! The shades are lovely in the pan, but swatched on the skin its all very light! I'm interested in a different palette from them! I think you'd need a good primer or cream base to make them show up better! The colours are nice ^^ love it; perfect for a natural look! Asian brands in general tend to have sheer pigmentation which is a shame.. 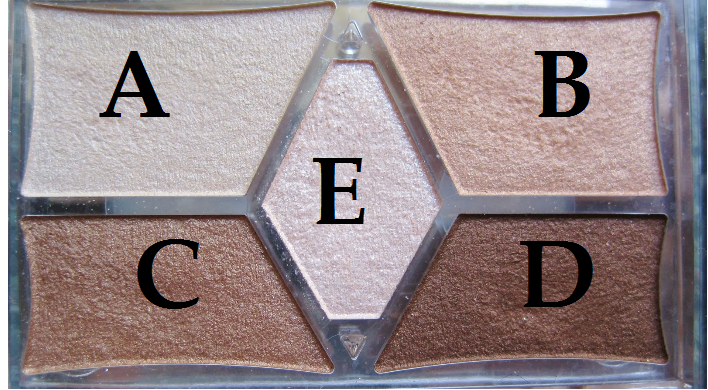 This could be a very nice little quad though, too bad the pigmentation is not very good.. The packaging looks super cute, that's one of the reason I want to try more Asian brands. I've been eyeing off some Etude House products! I'm not sure I would bother if it's not really pigmented! I think I've already wasted enough of my life on not super pigmented products! The packaging and colors are cute. I have never tried any Japanese cosmetics. I cannot imagine a place they would be available in Kentucky. I also wanted to let you know that I love your blog and have nominated you for the Liebster Award. Ive been wanting to tryout Canmake's eye shadows for so long due to the extremely cute packaging but its a shame that it isn't really pigmented. Thanks for the review! I love canmake products! I've heard that japanese eyeshadows tend to have less pigmentation than other brands so it's a pity because they have the best packaging ever. I've also reviewed some canmake stuff on my blog if you are interested!